Investment in Adolescent Reproductive and Sexual Health will positively influence MMR, IMR, reducing incidence of teenage pregnancy, meeting unmet contraceptive needs, reducing the incidence of Sexually Transmitted Infections (STIs) and reducing the proportion of HIV positive cases. Issues of adolescents range from undernourishment, sexual harassments,substance abuse, suicides and a lot of unhappy situations in the life. It is in this context that a programme for the adolescents is envisaged by NRHM namely Adolescent Friendly Health Services (AFHS). In order to reduce risky sexual behavior and empowering adolescents to make informed decisions for facing the challenges of life, they need to develop the necessary life skills. Thus, the focus of interventions with adolescents has to shift from information given, to building life skills. While life skills are built through experimental learning, these skills can be enhanced in the context of ARSH. 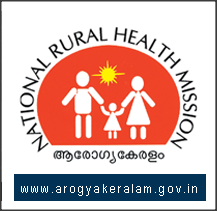 ARSH was initiated in Kerala during 2008-09. The pilot study was conducted at Thiruvananthapuram. The trainings for the staff implementing the project were given by the Child Development Center (CDC). It is now being implemented in 5 Taluk hospitals directly under CDC and in 1 Taluk hospital the ARSH clinic is being supervised by CDC. Besides, ARSH clinics are conducted in 62 PHCs and 24 CHCs on weekly basis.